Roz (~DOB 05/14) is a sweet, happy, loving girl, and so pretty. She is dog friendly and is currently living in a home with multiple dogs. 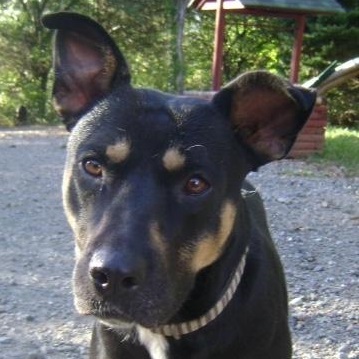 Roz has average or medium energy level, so she’s happy to go for a walk or a hike or hang out on the couch. She knows basic commands, sit, down, lay down, touch, focus, stay and come. She rides well in the car. She walks well on a leash. She takes treats gentle. Crated trained, housebroken and decent house manners. Her weight is around 53 pounds and her size would be on the small size of large. 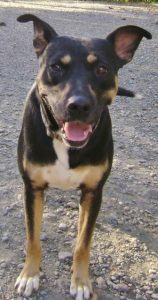 She has been cat tested and Roz would need a home without cats. Nail trimming is a breeze with Roz and she good with bath time. https://youtu.be/1qpDxAZXUDI She is spayed and up to date on vaccinations. If interested in Roz contact Diane at dianermk@outlook.com.